Once upon a time, I wrote a high fantasy novel. This was eons ago, in the time of dinosaurs, when I was the only human roaming the earth. I don’t remember much about this novel except that it was long. Also, the plot had something to do with a high school student getting transported to a fantasy world, nearly sacrificed to a dragon, and something about two people falling in love. This piece was my first real manuscript at an impressive 350 pages. The only problem with this novel was that I never backed it up. Honestly, I’m not sure why I didn’t save it somewhere besides on my computer. I was young and naive, but even then, I knew how important it was to have more than a single copy of something. Still, I banished the thought to the back of my mind. I never saved it anywhere besides my hard drive. At some point, our house got struck by lightning. The electrical surge blew out most of our appliances, including my computer. The novel was gone. It could not be recovered. There might as well have been a sign that said, ABANDON ALL HOPE, YE WHO FAIL TO BACK UP THEIR WRITING. I learned a terrible lesson that day. If you don’t want to find yourself in the same uncomfortable boat as I did, check out this easy guide to backing up your novel. Get a flash drive. They’re fairly cheap and easy to use. Plug it into your computer and save a copy of your novel after every writing session. If you don’t want to spend money, email yourself. Here’s my favorite way to back up novels: I compose a new email, attach my work, and hit CANCEL. 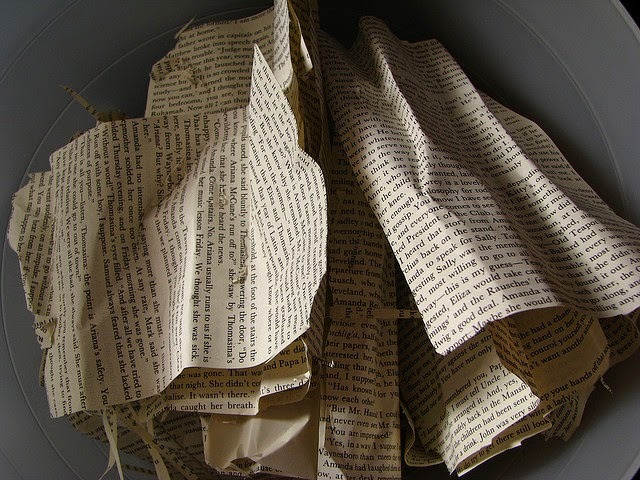 This process saves your novel as a draft for easy access later. You can create a new email and attachment for each session, deleting old drafts and attachments as needed. Go to the cloud. If you want to be able to access your work from anywhere, download Evernote, Dropbox, or Google Drive and save your novel there. Easy peasy. With such a variety of options, there’s no reason not to back up your work on a regular basis. Don’t repeat my mistakes. BACK UP YOUR NOVEL! How often do you back up your work? What method do you use? During the first draft stage, I try to back up my novel every 5 thousand words. So at 5K, 10K, 15K, ect. I haven’t nailed down a system for when I’m in the second draft phase (where I am right now,) so thank you for reminding me! I’m too scared to wait until I hit my next 5K! Then again, I’m a little paranoid because of what happened to my MS. 😛 But yes, you should definitely be backing up your work regularly! That’s a great idea! I need to get a new USB so I can take my novel with me without having to access the internet.